He would dream after of a beautiful nurse in a bombed-out Italian nunnery…of music from a surviving piano…of a fatally burned patient telling his story…of swimmers painted upon the walls of ancient caves…of a romance in the desert amidst the winds and the sand and of an oasis both physical and of the mind. Later, more worldly, he would deduce there were artistic items rightfully argued to be greater in that year. The Fargo. The Secrets & Lies. The Breaking the Waves. But The English Patient was first. The first love. The one looked upon fondly, even if with a blush…a sense of embarrassment, as backlash has riddled the film’s legacy, and he often wonders how some will react to his recitation of love for that damned thing. Why didn’t you just say so, Elaine? You’re fired. 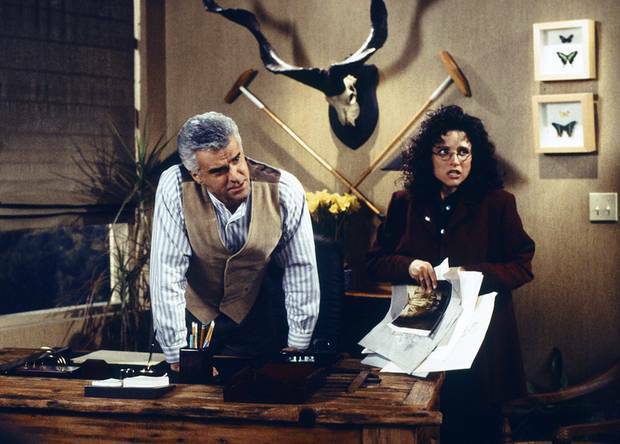 Though he laughed at Elaine Benes’ derision…her hot dismissal, her raging against the propensity of erudite urbanites sidling their sentiments with gushing critics over lush films tailor-made for award’s consideration…he marveled at the Seinfeldian homage to the film it critiqued so harshly…the overlaying stories…the burned Neil who George Costanza tried to out-Neil in the name of lust…the ego-driven rivalry of old men wanting to be the “#1 Dad”…the smuggling of Cubans (people not cigars) by the idiot Kramer…the pain and yearning of not being able to see “Sack Lunch” because of cruel twists of fate…the Magic Pan incident. All in all, he concluded, much like the pompous copyediting twit for the J Peterman Catalog, that the film…the episode…it ravished him. 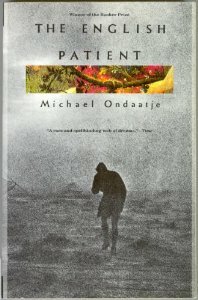 In his 33rd year, after familiarizing himself with Ondaatje through other works, through Divisadero and The Cat’s Table, he finally overcame his reluctance in reading the novel that inspired both the film and the episode…the source material, which he always feared would be colored through cinematic and sardonic lenses, impossible to discern what was actually on page from memories of the film, from feelings sincere rendered laughable through the prism of comedy, through natural feelings of regret and longing for times which have long since passed and places (like that megaplex, still standing but a ghost) which no longer exist as they once had. He wondered at the deeper focus on the nurse…on the Sikh bomb defuser, on the different ways in which the characters’ backstories…some more defined or more ethereal than on screen…intertwined and interacted, breathed life into and out of each other. On screen sandstorms brought lovers together in cinematic fashion and courtly men brought pretty girls up to the tops of chapels through ropes and pulleys to view medieval etchings by breathless candlelight. On page, some of these events were only implied…perhaps imagined. Ages of participants were rendered differently, time lapses blurred…place and POV shifted sometimes within the same sentence. If only he could touch the stories…but they, the people, the moments, the emotions drift away in a fractured, fevered yet tempered, epilogue where futures are imagined and memories of those melancholy times spent in Italy with the English patient eternally on a death-bed are always just gently passing by on the crest of the winds blowing over the houses thousands of miles away from each other built to shield the separated former lovers from the storms of war. THIS English Patient…of the page…of the mind…the heart…is one etched for all time. And there is nothing shameful or laughable about that kind of art. This entry was posted in Art, Art-house Cinema, Book Reviews, Book to Film Adaptations, Books, Inspiration, Language, Literature, Movie Reviews, Movies, Pop Culture, Television and tagged Anthony Minghella, Classic Films, Classic Novels, Love Stories, Memories, Michael Ondaatje, Novels, Romance, Seinfeld, The English Patient. 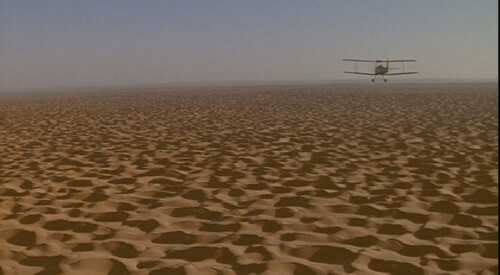 David, this is a beautiful tribute to The English Patient, literary source and film adaptation. It just shows how one piece of literature can be interpreted through different lens, and the film is but one version, but one that has left an indelible mark on that sixteen year-old young film lover, and on another, a much older one. 😉 A valuable resource is the Special Features that come with the DVD wherein both the author Ondaatje and the screenwriter Minghella discussed how it all came to be, the adaptation process, and the ultimate decision of transforming one art form into another, how the screenwriter had to tailor and re-imagine, discard some and expand others, parts and characters alike, and where we as audience cannot help but marvel at their creativity and mutual respect for each other’s art. Especially now that Minghella is no longer with us, those featurettes remain even more precious. Arti – I’ll have to check out the special features. I love how “spiritually” the novel and the film are the same “thing” – but the nuanced and sometimes abrupt differences tailored through their respective artistic venues make the source material and the adaptation that much more amazing. Minghella will be missed – he really was the premier go-to guy for smart, posh high-end literary film adaptations at the turn of the millennia. I’m speechless. A touching tribute David. Thanks, man, let’s just say this was one of those rare things written while truly inspired. Lovely reflection here David! And as always these kind of posts are imbued with a special passion and reference, bringing much more to the table than cinematic analysis. I have very warm feelings for THE ENGLISH PATIENT myself.